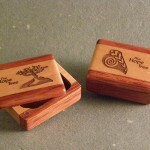 This diminutive box is made from two different rich hardwoods: maple and cherry. The smooth outside measures 1 1/2” long x 1” wide x ½”deep - with a 1/4” deep x 1” wide x 3/4” tall interior. Just perfect for small earrings, a few pills or a secret note. It has an ingenious swivel lid mechanism that locks in place with a satisfying click of matching metal to magnet. A slide in either direction releases the snug closure and reveals your treasure. 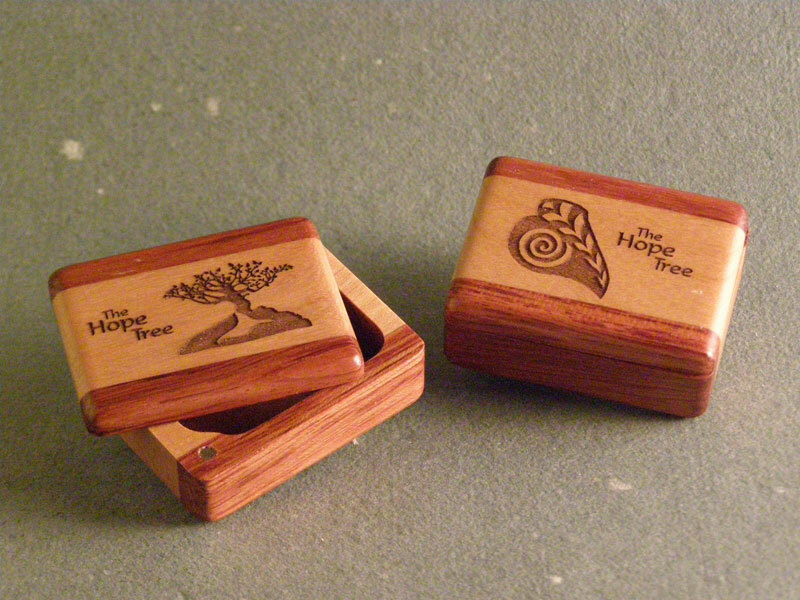 Choose between our trademark Leaf Symbol or The Hope Tree Symbol. A solid reminder that hope can be found in even the smallest places.